This smooth Southern Jam feels like a sweet inspirational blend of the Marshall Tucker Band and Pure Prairie League at their finest. This smooth Southern Jam feels like a sweet inspirational blend of the Marshall Tucker Band and Pure Prairie League at their finest. 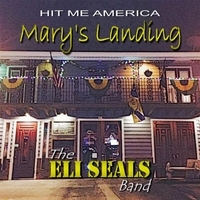 The powerful vocals of Eli Seals combined with the rock solid harmonies and flowing guitar licks are music to the ears that can stand with the best Country/Southern music out there. Featuring Waylon Thibodeaux on fiddle. ​HIT ME AMERICA takes gifted songwriters who have a passion for music and a drive for writing great songs and puts them face-to-face with a live audience in a jam session unlike any other.